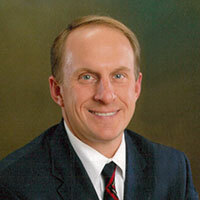 Edward A. Sobota is President of TSI Titanium, a PRV Metals company. TSI, located in Derry, Pennsylvania, is a leading manufacturer of titanium bar products. Mr. Sobota began his career in titanium in 1988 as an assistant in TSI’s quality department. He spent extensive time observing hot-working operations (rolling and forging) at various mills subcontracted by TSI Titanium. Upon graduating from Pennsylvania State University, with a BS in Metals Science and Engineering in 1994, Sobota joined BethForge (Bethlehem Steel’s large forging division) as an engineer in the technology department. In 1995 He returned to TSI as a process metallurgist. He has had various responsibilities at TSI, mainly focusing on operations. The past decade has seen great expansion for TSI; installation and continual improvements to the rolling facility, extensive upgrading and expansion of the titanium bar finishing facility and the recent upgrade to TSI’s 1500 ton forging press. He assumed the role of President of TSI Titanium in 2010. Mr. Sobota is a board member of the International Titanium Association, a board member of Westmoreland Federal Savings and Loan and a board member of the Economic Growth Connection of Westmoreland County. Sobota is currently residing in Latrobe, Pennsylvania with his wife and two sons. He is an avid golfer, cyclist and outdoorsman.